Are you noticing damage to the roof of your home? Maybe you're experiencing a leak in your ceiling. Did you know these are all potential signs of a clogged gutter? Schroeder Seamless provides a fresh approach to taking care of the exterior of your home. In our first year of business and drawing on over 13 years of experience in the field, Seamless Gutters focuses on getting the job done quickly, with an emphasis on attention to detail and customer satisfaction. At Schroeder Seamless, we work around your schedule and stay flexible when it comes to serving your needs. We're here 24 hours a day, 7 days a week - call us today to schedule your free appointment. We're dedicated to taking care of your seamless gutters, roof and home. Our professional and skilled staff will protect your home from the rain and snow. Whether it be cleaning, replacing, installing, or putting a protection system on your seamless gutter, we take care of any problem big or small to prevent leaks that can cause rotting, deterioration, and damage to your home. 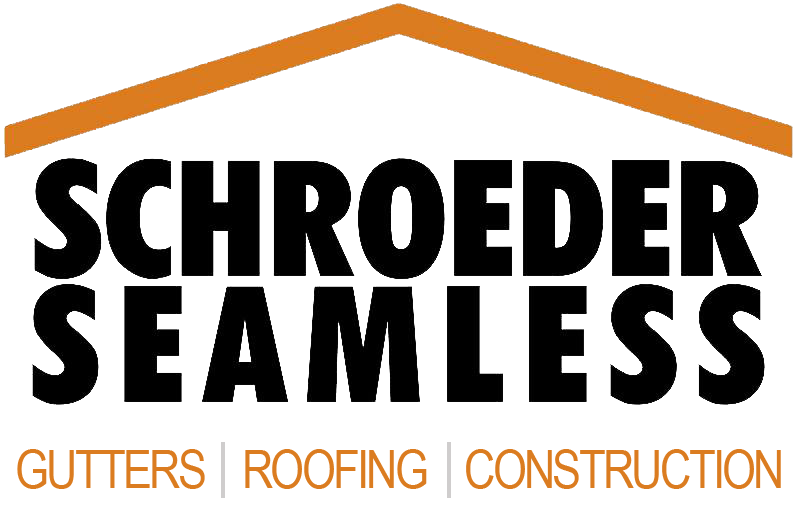 At Schroeder Seamless we'll also focus on your roofing problems and take care of the basic remodeling and construction of your home. Call us today to schedule a free estimate. Copyright © 2019 Schroeder Seamless, all rights reserved.